Madeline O'Reilly, born in 1998, is the oldest daughter of American TV host Bill O'Reilly and his former wife Maureen E. McPhilmy While her father Bill is a renowned journalist of CBS News and ABC News, author and television host of the show The O'Reilly Factor, her mother is a public relation executive who came to limelight after her marriage with Bill. Madeline O'Reilly also has a younger brother, Spencer O'Reilly, who was born in 2003. Madeline's mother Maureen had married her former husband in 1992 and officially divorced him in 2011. Currently, Maureen E. McPhilmy is happily married to her second husband Jeffery Gross. To find more about Madeline O'Reilly and her family status continue on reading. It has been around 7 years that Madeline's parents have divorced each other. The divorce was filed on the grounds that her dad had physically and emotionally tortured her mother. The divorce was reported to be settled with a huge alimony but the terms of the divorce agreements haven't been revealed. When the divorce was underway, Madeline even vouched of the domestic violence her mother had suffered while she was married to ex-husband Bill. During the divorce trails, teenager Madeline told a court-appointed forensic examiner that she had seen her father choking and dragging her mother down the staircase by her neck. The brutal divorce dragged Madeline and her sibling into the Nassau County Supreme Court for 3 years during the custody battle between their parents. The 'absentee father,' as Madeline referred to Bill, lost the case and the court granted her loving mother custody of Madeline O'Reilly and her brother Spencer O'Reilly. At the present, Madeline is living a quiet life with mom Maureen E. McPhilmy and step-father Jeffery Gross. After the end of an almost-18-year-long marriage, Madeline's mother decided to leave her torturous past behind and married husband Jeffrey Gross. Maureen dated the detective of Nassau Country Police Force prior to tieing the knot with him. The marriage wasn't the first one for Gross either. He was previously married to late Kathleen McBride. Gross's former wife had died in 2006 due to cervical cancer. Gross has two children from his first marriage. Even though Bill was unhappy about his ex-wife's new marriage, his daughter Madeline seems to be happy for her mother. Madeline resides with her mother, step-father, and step-siblings in a mansion in Manhasset, a New York Island, that is worth $4 million. The estimated net worth of Madeline's father Bill is around $85 million. However, the net worth of Madeline's mother Maureen is still unknown. However, it can be easily assumed that even Maureen' net worth is millions of dollars. Bill O'Reilly's net worth is the result the money that he has earned in from his career as a journalist and television host of shows on broadcasting networks such as the Fox News Channel, which he left amid sexual harassment scandals in 2017. In addition to being an anchor, Bill is also a well-received author of several books including the New York Times bestseller Killing Patton, published in 2014. The earnings from his book sales have also added to his net worth. After the sexual harassment case erupted, Bill had to pay millions of dollars in settlement. 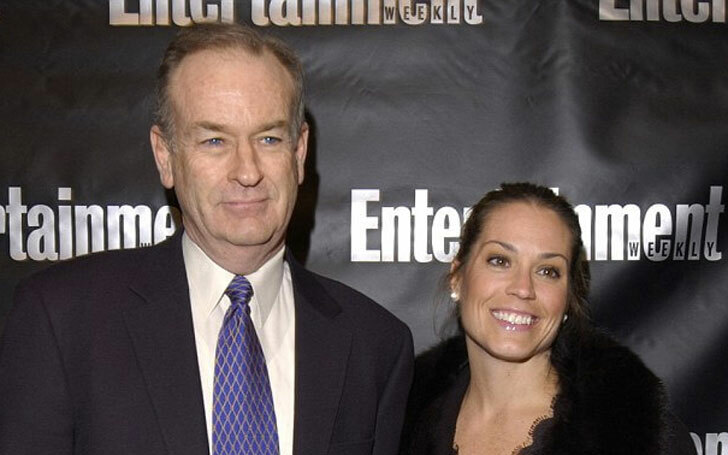 In 2017, New York Times revealed that Bill had spent approximately $50 million to settle sexual harassment lawsuits filed by almost a half-dozen women. Madeline has been through a lot of trauma since her childhood. From seeing her mother being beaten to the acrimonious divorce case of her parents and the subsequent infamy of her father. We hope that the trauma of the past won't have negative effects on her future. We wish her best of luck in her future endeavors.